The fired employees were the officers who initially pulled David Dao, the passenger, from his seat on the flight. The city of Chicago revealed Tuesday that it fired two airport police officers in connection with the controversial removal of a passenger from a United Airlines plane earlier this year. 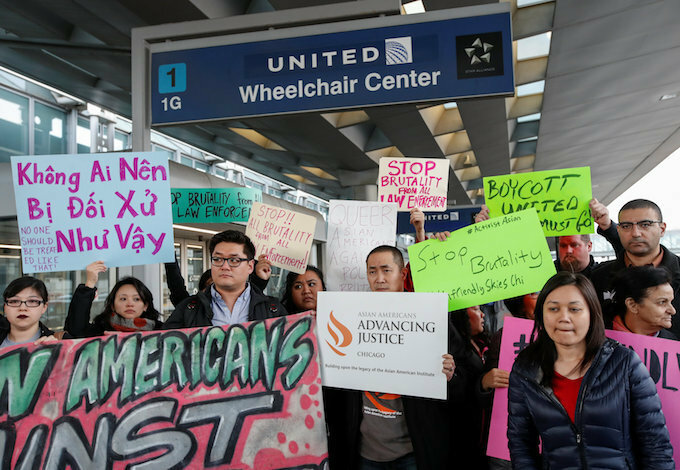 Video of the April incident went viral online, showing airport officers dragging a bloodied David Dao off a full plane to make room for airline crew needing to be repositioned for future flights. Inspector General Joseph Ferguson, who heads the midwestern U.S. city's watchdog office, had been pursuing an internal probe of the officers' actions. Ferguson revealed that two of the four had been fired and the other two suspended, but did not specify when the disciplinary actions were taken nor reveal the officers' identities. "Chicago Department of Aviation (CDA) employees mishandled a non-threatening situation that resulted in the physically violent forcible removal of a passenger," the inspector general's public report stated. The fired employees were the officer who initially pulled Dao from his seat on the flight to Louisville, Kentucky, and the supervisor who engaged in "the deliberate removal of facts from an employee report," the inspector general said. Two other officers, one who "made misleading statements in two reports" and another who "made material omissions in a report," were handed five-day suspensions. One of the suspended officers chose to resign. The other challenged his suspension, which was reduced to two days. Dao's lawyer Thomas Demetrio said his client was "neither vindictive nor happy about Mr Ferguson's findings." "There is a lesson to be learned here for police officers at all levels. Do not state something that is clearly contrary to video viewed by the world." The incident had stemmed from what would normally have been a fairly routine occurrence. In the event of an overfull flight, an airline may entice passengers with compensation to voluntarily give up seats, and, if there are not enough volunteers, may "bump" passengers. The process usually takes place at the gate before passengers board the plane. 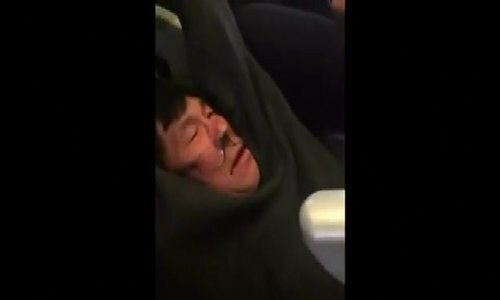 But on the Chicago-Louisville flight, passengers had already boarded when Dao was involuntarily bumped and refused to give up his seat. The airline crew called airport police, who forcibly pulled Dao from his seat, causing him to slam his face on an armrest, suffering a broken nose and losing two teeth. Viral video of the bloody encounter caused an international uproar and a firestorm of negative publicity for United. After initially mishandling the aftermath, the airline repeatedly apologized, settled with Dao for an undisclosed sum, and announced a series of operational changes. United was not the only airline to modify its practices, as the incident's aftermath reverberated throughout the industry. Both United and American Airlines ended the practice of asking passengers already seated on planes to give up their seats. Delta Airlines increased to $10,000 the top amount it would pay for volunteers to get off overbooked flights. United followed with a similar policy.